A classic in its own life-time! The Poppy Coral remains one of the UK's best selling - and best looking - air fresheners Sized at a perfectly propo.. Simple fit into Poppy Coral housing Lasts upto 3 months 'Lemon zest' fragrance Can be stored indefinitely without loss of fragrance ..
Big D Odor Control Fogger - These total release products will destroy all odors in any home-size room or individual office or a car that’s been..
Dakota Non-Smoke Smoke Odor Eliminator is a permanent remedy to tobacco smoke odor Use Non-smoke to destroy tobacco odor in your vehicl.. Destroy car odors quickly and permanently with the Odor Bomb! 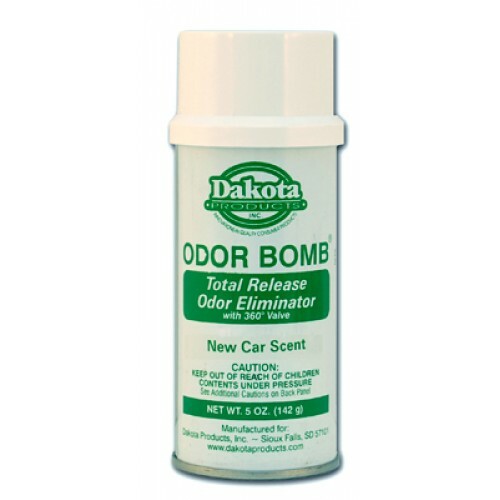 The Dakota Odor Bomb is a permanent, one-time odor eliminating fogger. The Odor..
NEW FROM POORBOYS USA - HANGING CAR AIR FRESHENER Great Addition To Any Car Interior ! ..